This past Friday I went to see Toy Story 3. And let me be the first to say that it was a hell of a lot better than Jaws 3. Sometimes - hell, most of the time - sequels just can’t come close to living up to the original. But it seems to me that Pixar just cannot miss. To be perfectly honest, this is the first Pixar movie that I’ve seen since the Incredibles. I know - how sad. I want to see all of them, but I just never took the time. I’ve added the four I’ve missed to my Netflix and hope to have a Pixar weekend soon. And for Pixar, Toy Story is where it all started. It’s hard to believe that was 15 years ago. When the first Toy Story came out my wife and I were in college and dating for a couple years. When Toy Story 2 came out we owned a house and were engaged, and this past Friday she and I went to see and have been married for 10 years. My how time flies by. But in that time one thing is for certain. I’ll say it again. I am offering nothing new or groundbreaking in my post. This isn’t really much of a review as it’s more just a short post to tell the world that I loved this movie. We saw it in 3-D, and although that’s not really necessary for this movie it was still great visually and gave the animated world of Toy Story a nice visual depth. The story I thought was pitch perfect as it followed the natural progression of a child’s toys. A kid grows up, but the toys have to go somewhere. Whether it’s into storage, into garbage, or on to a new owner. The whole story made me think of my childhood and wonder where are all my old toys? Where is that Castle Grayskull that I played with every day? Where is Optimus Prime? Where is Zartan? Are they junk? Are they hidden in some crack in my parents’ old house? Or are they at the bottom of a toy box in some pediatrician’s office? I probably cry to easy at movies, but this one did make me tear up in a few places, just because the emotions and the situations felt so real - or as real as they can for talking toys. This was the perfect final chapter to a perfect set of movies. Seeing the old characters were great. The new characters were awesome as well, with “Ken” (voiced by Michael Keaton) stealing all of his scenes. But one of my favorite touches is something that has nothing to do with the story, but instead with the making of the movie. John Morris, the voice of Andy, is the same actor who played Andy in all 3 Toy Story movies. That may not seem like a big deal, but I thought it was a nice touch to have the same voice of the little kid now be the voice of the young adult. He grew up with Toy Story just like Andy grew up with Buzz and Woody. Just like all of us grow up and at some point have to say goodbye to our childhood and our childhood toys. 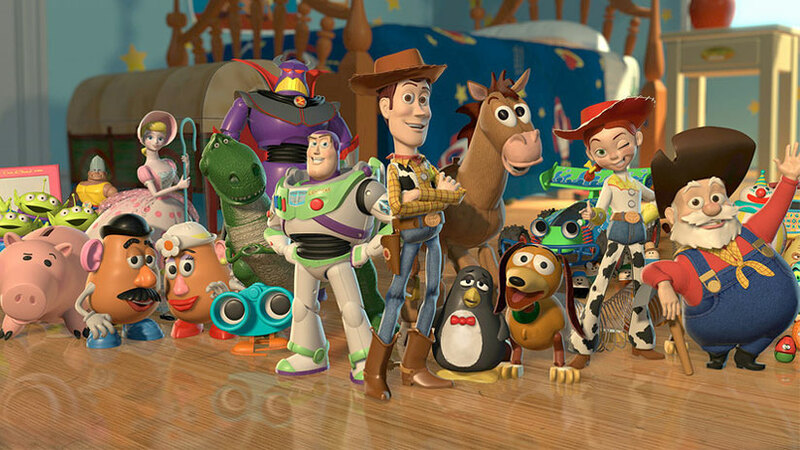 And thank you to Toy Story for reminding us just how important those toys were in our life.